Johanwillfir is the Creator and First Leader of the Golds Army, he created the Golds on May 10th 2007 and the legacy which he created lives on today. He is known for his great leadership and service to this army, and continues to help out to this day. Andrew24 was not only one of the most instrumental figures in the Old Generation of the Golds Army, he is also one of the co-Creators of the current New Generation. No one has put more dedication into the Golds army than Andrew24, and the Golds army would not be the same without him. He also took a major role in the late 2013 generation which was re-created by both Jack and Andrew. They later led the army to a whopping 35+. He is a role model for all future leader’s and troops in the Golds Army. A true Guardian of the Golds. He continues to dedicate himself to protecting the future of the army to this day. Donut re-created the Golds in 2013 with Jujuflower and Andrew24, in which he is by far one of the greatest leaders ever. He played a major part in the Golds rise to make our best generation ever created, consistently getting 20-30 at every event. But in February of 2014, the Golds partly merged into the Doritos, but Jack did not let this stop them. He continued to lead the Golds, and did not let them die. He is currently retired from all CP Armies but his influence will not be forgotten. Juju is the final member of the trio which created the current New Generation of Golds today, she is known as one of the kindest Leaders ever to be in the Golds and was instrumental in helping to kick start this generation. Even after stepping down as Leader she continued to assists the Golds in any way she could. 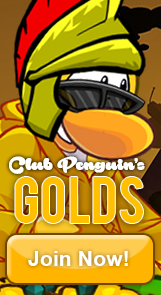 She is currently retired from all CP Armies but her legacy in the Golds remains. Shab joined the Golds Army in the Old Generation and convinced many other armies to merge into Golds as well. Additionally, he helped Golds grow into exponential sizes when the third generation first began. Shab became a leader of DW when the army switched from Golds, and helped the army rise once again with his experience from ACP. 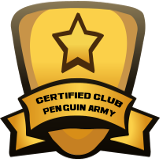 Currently retired from all CP Armies. Johanwillfir’s close friend who although was not the founder of the army, was one of the, if not, best leaders of the Golds Army. 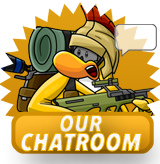 He is currently retired from all CP Armies. One of the best leader’s in Golds Army history. Joined in 2007, and led during the 08 and 09 generations. Responsible for switching the Golds Army to Dark Warriors. Although he was very tough on his troops, they still appreciated him no matter what. He is retired from all CP Armies. Lorenzo joined the second generation of Golds in early 2008 and served until its demise later that summer. In April 2009, he created the third generation of Golds with Sriv007, acting as a rebellion from the Ice Warriors. He recruited many of the important leaders such as Andrew24 and Shaboomboom, helping to bring Golds to one of its highest peaks. He returned to lead during the 2012 generation. 2 years later, Lorenzo led the Golds through the summer of 2014 and into the fall, keeping the army alive through unstable times. He is currently a Advisor of the Golds. SaW was a leader in the Golds third generation. He was also apart of the leadership group that switched the name of the Golds Army to Dark Warriors. After the army switched to the Dark Warriors, he quickly made the Dark Warriors rise. Every time he has lead a Dark Warriors generation, it has been successful. SaW is arguably the greatest Dark Warriors leader in army history. He is retired from all CP Armies. Final Chaser was also recruited into the 2013 Golds re-creation not long after it’s re-creation, he served as a officer for a period of time and quickly impressed with his leadership abilities, and soon found himself promoted to leader alongside Andrew24, Jack and Whats Up11. He is one of the key figures behind the initial Golden Age of this Generation and continued to lead the Golds through a Golden Age until deciding to pursue other career goals. Whats Up11 was recruited into the 2013 re-creation of Golds not long after it was re-created, he became one of the first and most effective second-in-commands serving under Andrew24 and Jack. Once he was promoted to leader he was able to achieve sizes of 30 and over consistently, he then would move on to become leader in other armies such as DCP and DW but 11 would then return to the Golds to lead the army to further glory under his reign. Flamez64 first joined the golds in 2013 shortly after it was resurrected by Jack, Ana and Andrew. His friends had defected from the RPF so he followed them. Not having a reputation or any respect, he worked his way up from moderator to leader, creating great friendships and memories along the way. He felt Golds was different from every other army, he knew it had something special. Over the years, Flamez has served with nearly every person on this page creating many.He was at the helm of the greatest eras in Golden history, conquering the likes of the LT, IW, SWAT and RF among many more, and creating the largest Golden Empire of all time. He will go down as the greatest leader of Golds of all time, reaching 30+ multiple times over different eras. A true patriot. Torie was recruited into the 2014 generation of Golds, who was by far one of the greatest leaders Golds had to offer. Known for her impressive recruitment methods, which helped Golds rise into one of the best Golden Era’s in the armies History, Bringing the Golds to 3rd in the Top 10. One of the fastest new troops to get leader, achieving the role in less than a couple of months. She has led with the likes of Andrew24, Whats Up11 and Flamez64 in the great Golden Era. She’s also one of the first female legends in Golds. Torie will always be remembered for her optimism and strong will, aswell as one of the best recruiters to ever come out of CP Armies. Starting in Jan-February 2014, Antonio960 has stuck with the Golds army through thick and thin. He earned his way from the rank of private all the way to leader. Antonio960, along with Lorenzo Bean, kept the Golds army alive during our bad times. Antonio960 sets a example for what happens when you’re loyal to an army for a very long time. He is in the Golds to this day, where he still serves as leader. Antonio960 is one of the most loyal troops the Golds army has ever had. Created the Golds Army 2016 generation along with bringing them to 1st on the army top ten making history for the army. Fly4life’s brother, He was a Co-Leader in 1st Generation Golds, he helped set up site and get Golds very first recruits. Very loyal troop, who would do anything for the Golds. A very active and loyal high ranked Golds troop. He was very loyal at sometime and almost killed Golds. Khole also lead in the Golds third generation and when the army switched to the Dark Warriors. He was notable for his amazing graphics work, and was one of the best graphic designers that ever joined the Golds/Dark Warriors. A very very loyal owner. Possibly one of the greatest 2ic’s the Golds army has ever had. He always stuck by and always learned under the leaders while he could. It took him months to finally get leader and it was well deserved. Not only one of Andrew’s greatest friends back in the day, but extremely friendly to all Golds. He is a true role-model. Serving as a Guardian of the Army. After going absent from CPA for years, Tilgen joined Golds around May 2014 when his brother Lorenzo Bean was still leading Golds in that generation. He was one of the most active owners we had in that time and soon he was promoted to lead alongside Antonio960 and his brother before the Golds went into it’s summer drop that year, since then Tilgen became one of the best Golds leaders to show focus and loyalty in his leaderships. Not only was he a great friend to one of his comrades til this day but he has shown to be one of most excellent advisers this army can have in both generations that he has served. Ant is probably going to get removed. Who votes for legend inductions? All troops or just the owners? Bluey don’t start with your complains on the site damn it. 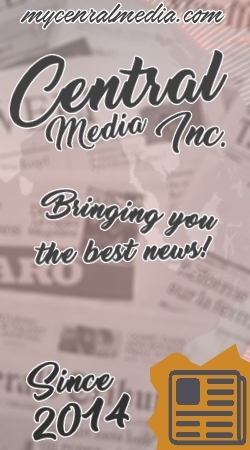 Its Cause ive been working on the site and fixing stuff,plus i was too busy to hang on chat. You get voted in so until that happens i don’t think you should be their. I speak for the whole Golds saying this, no mum.